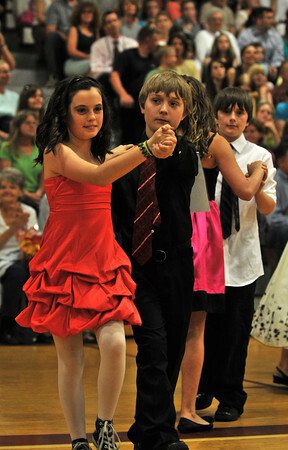 Gloucester: Ysabella Tocantins 10, and Dan Wieman 11, dances the Tango at the Mad Hot Ball held at the GHS on Sunday afternoon. Desi Smith Photo/Gloucester Daily Times. May 2,2010.